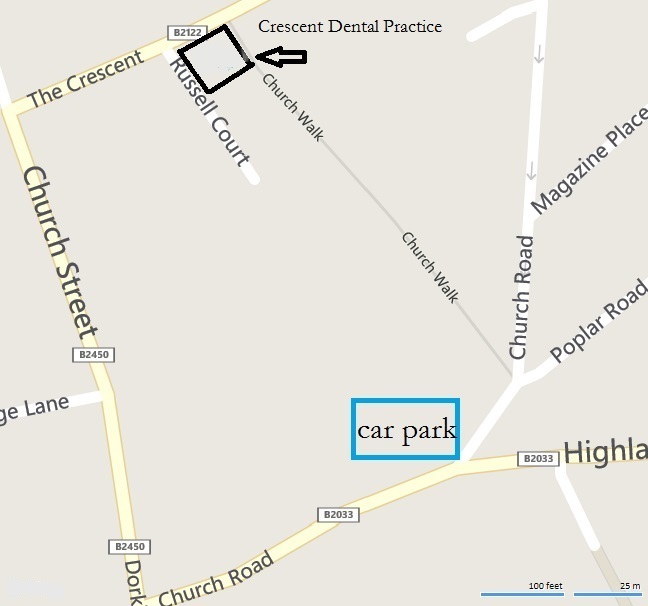 Crescent Dental Practice is committed to the provision of high quality services to all our patients. To contact us either phone our friendly reception team on 01372 363060 or send us an email using the form below. Same day emergency appointments are usually available. Parking is conveniently located to the back of the practice just a short walk away. Short and long term parking is available, so do make sure you get a ticket for long enough. Bring the ticket stub with you and we will reimburse the full amount.